nobodyknows+ is a J-pop group. Their sound is a mix of funk, jazz, dance, rock, and especially hip-hop. nobodyknows+ debuted in 2003 on the Sony Music Associated Records label. They have released several hit CD singles which include “Kokoro Odoru”, a song that was used for the ending theme for the popular anime TV series “SD Gundam Force” and included in the Nintendo DS game Osu! Tatakae! Ouendan. They released their critically acclaimed first album Do you know? in June 2004 and debuted at number one on the Japanese Oricon charts, a rare accomplishment for hip-hop groups in Japan. In 2005, the group wanted to help aspiring local artists, so they organized the NAGOYA MUSIC EXPO in September. The event brought in around 10,000 people. In November 2005, nobodyknows+ released their second album titled 5MC&1DJ. The album featured their smash hit “Shiawase Nara Te o Tatakō” which was used as the theme song for the Japanese release of Kung Fu Hustle. The group kept in public eye in 2006 with a national tour in February as they performed in every prefecture in Japan, which had not been previously done before by a hip-hop group. The tour was captured and released in November as a DVD and Blu-ray release titled “nobodyknows+ Tour 2006 “5MC&1DJ” – Kuribo no Menkui Dochu Hizakurige”. 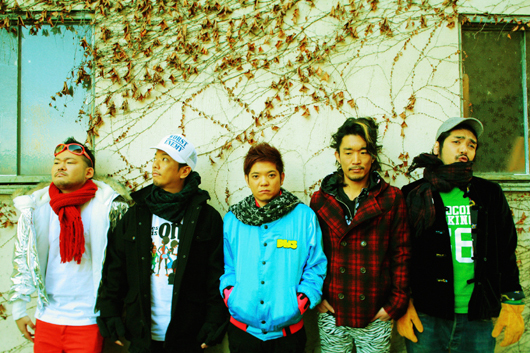 The group performed their first overseas concert at Tokyo Night 2007 on 24 March in Long Beach, California, bringing their style of hip-hop/pop fusion to a U.S. audience. The group’s single “Hero’s Come Back! !” was chosen as the first opening theme for the anime TV series “Naruto: Shippuden”.